Treasury Secretary Steve Mnuchin says Americans who have been unable to pay their taxes Tuesday because the IRS payment website is down will receive an extension when the site is working again. The website has been down most of the day and wasn’t operational as of 4:30 p.m. EDT. 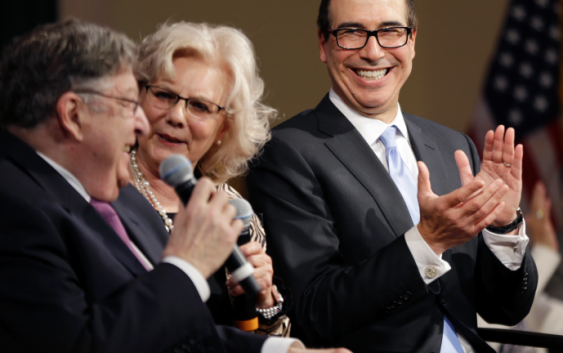 Mnuchin commented on the outage when asked by reporters after an event in Derry, New Hampshire, where he promoted the Trump tax overhaul along with Ivanka Trump. Mnuchin described the problem as a “high-volume technical issue” that the IRS is attempting to resolve. A message on the website about the outage indicates the agency still expects Americans to pay their taxes on time. The agency also said that taxpayers should filing their tax returns as they normally would. The problem is, electronic filing is the most popular way to file.